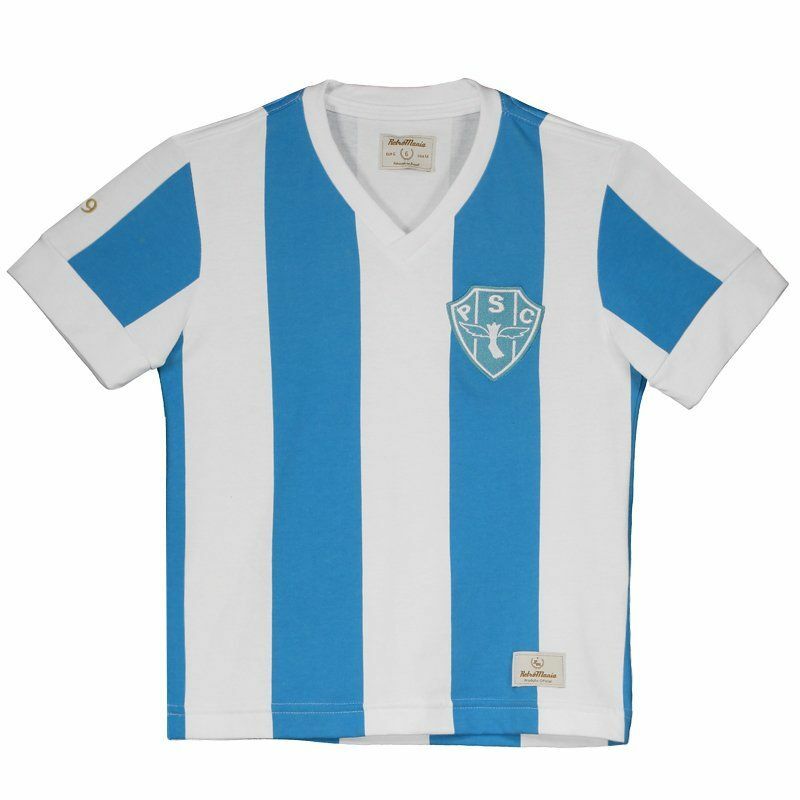 Retrômania presents the Paysandu children's shirt honoring the year 1939, when the team consecrated champion in the dispute of the first classic Re-Pa. Made of soft cotton and with a good fit to the body, the piece provides total comfort to the small fan. More info. 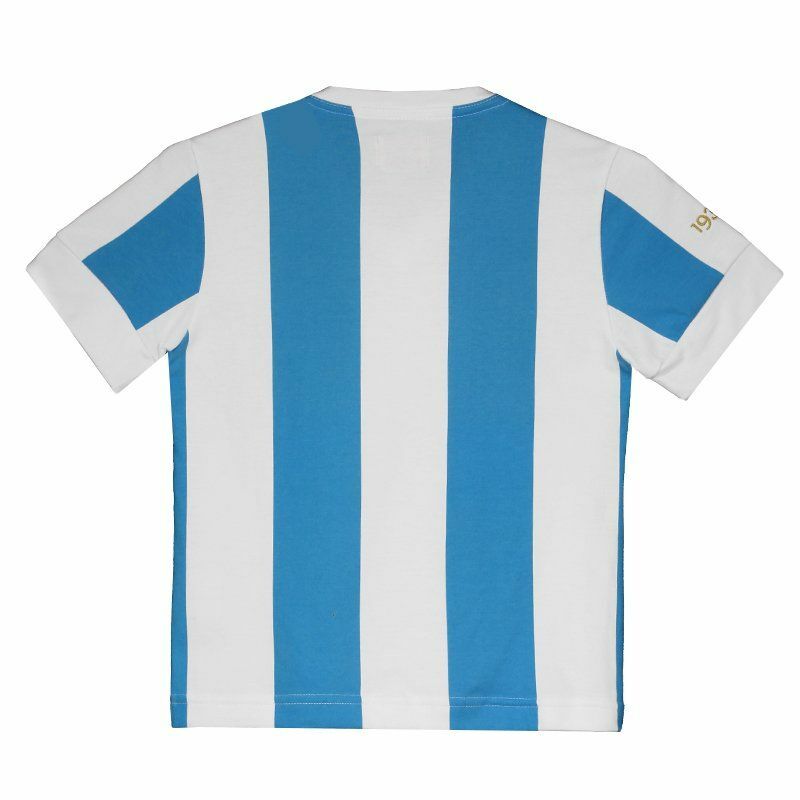 Retrômania presents the Paysandu children's shirt honoring the year 1939, when the team consecrated champion in the dispute of the first classic Re-Pa. Made of soft cotton and with a good fit to the body, the piece provides total comfort to the small fan. The design brings the traditional colors of the team uniform, seen in vertical stripes in white and sky blue. In the chest, the shield marks presence, fixed in prominence. The collar is V with fabric superimposed and the cuff of the sleeves has a ribbed finish for a better fit. Finally, the year 1939 complements the details, embroidered in gold on the right sleeve.